The children played in a room of chaos as the staff tried to usher them around the birthday cake. The colors were disjointing. Only a child could love this, I thought. I was at a Gymboree party for the fifth birthday of our son, Tony. I balanced the large VHS camera on my shoulder to capture his joy. What I saw made my heart sink. The year was 1995. We had just closed on a house in Long Island, New York and were making plans for our move from Brooklyn. Tony’s birthday came up a few weeks before. As I videotaped our son, I saw him roll his eyes and head. Anyone else may have thought it was simply his reaction to the excitement, but I knew better. I had watched my brother display the very same tics throughout my childhood. It was undeniable; I instantly knew that Tony had Tourette syndrome. As the months passed, our son’s tics grew worse. Eventually, his facial tics graduated to a full body roll. 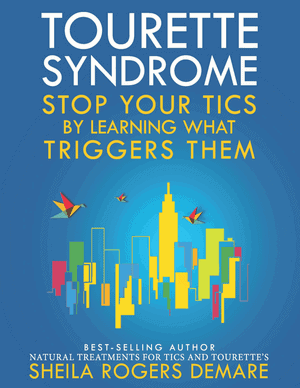 Considering my family’s history, the pediatrician agreed that Tourette syndrome was most likely the cause. First I cried, then I prayed, then I called the Tourette Syndrome Association (known today as the Tourette Association of America). I was astonished to learn from the associate who took my phone call that there had been no significant improvement in the treatment of this disease since my brother was first diagnosed in 1970. In essence, the treatment of choice at this time was to go with heavy narcotics–the logic being that tranquilizing (weakening) the patient would reduce their strength so they could not tic as violently as they would otherwise. Secondly, blood pressure medications might be offered by a doctor. “What were you doing with all the money we and others donated to your organization for research?” I asked. “We use those donations to raise awareness and foster social acceptance,” she replied. “That is not going to cure my son,” I said. “His teacher says he has a hard time staying in his seat,” I answered. I was then informed that the majority of those who have Tourette’s also have ADHD. It was recommended that we consider Ritalin (a popular stimulant) for our little boy. “I’m in the medical profession, and I know that Ritalin can cause tics in people who don’t even have Tourette’s. It’s also known to make the tics of some with this syndrome far worse,” I stated. “I want both!” I demanded. You see, I was still haunted by a heartbreaking memory from my childhood. I recall passing by the bathroom in our home and hearing my mother crying. She had just been talked into committing my brother to Mt. 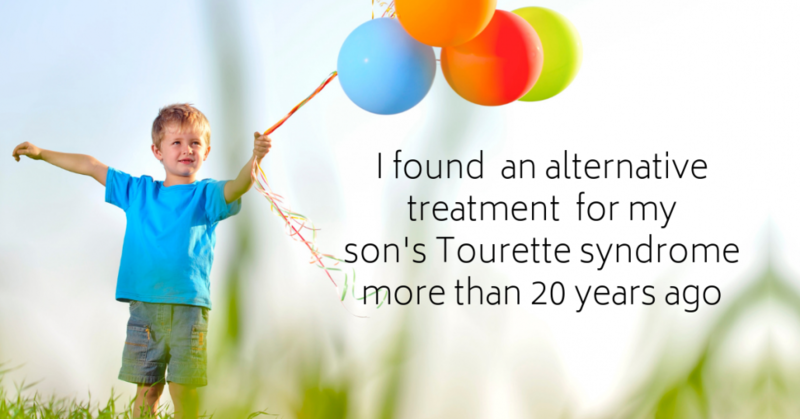 Sinai Hospital for a year of research to find help for his Tourette’s. Sadly, after all that time, all the emotional pain, and all the money spent, conventional medicine did not come up with anything to really help his symptoms. I refused to zombify our son with the same drugs that my brother took himself off of when he turned eighteen. From my brother’s perspective, living with the medications was far worse than living with the tics, especially since the drugs had little to no effect in reducing his symptoms. “We’re not supposed to talk about that,” she said. “Haven’t you heard of anything?” I persisted. “I heard of a woman who is involved in some type of alternative treatment. Her name is Sheila Rogers of Florida. That’s all I can tell you” she offered. That evening, I wrote letters to every Sheila Rogers listed in the Florida phone directory. Luckily, one wrote back. In the envelope was enclosed a newsletter entitled, Latitudes the Newsletter for the Association of Comprehensive Neurotherapy (ACN). I read half-way down the first page and, for the first time since my son’s birthday party, I smiled. 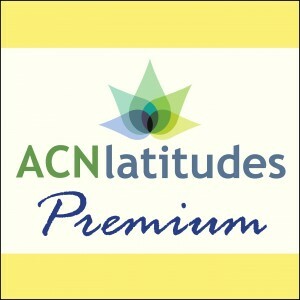 With the information provided by ACN, supplemented by literature from Dr. Doris Rapp (author of Is This Your Child? ), my wife and I were able to successfully manage our son’s tics through dietary treatment. We identified foods that triggered his tics by keeping a food diary and having our son tested for allergies. Tony was found to be allergic to milk, corn, oats, and finned fish. We removed these foods from his diet and, in a couple of weeks, most of our son’s tics disappeared. To prove to ourselves that this wasn’t a coincidence, we reintroduced milk into his diet and his tics reappeared. We went back to keeping him on a milk, corn, oats, and fish-free diet, and in about six weeks all of his tics totally disappeared. His tics would still flare up for a couple of weeks during the change of seasons, which we attributed to environmental sensitivities. Even then they were not as pronounced as before. I recall Tony’s mother bragging to people about how this dietary approach was nothing less than a miracle. In fact, our son’s pediatrician was astounded when he saw him on his follow-up visit. The doctor subsequently took back every negative word he had uttered when we first told him we were considering alternative treatments. Truly, the results were astonishing. What surprised me most, however, was the simplicity of the treatment. I must warn you that although the treatment was simple, it was not easy. To keep our son from feeling singled out, his mother and I followed the same diet. The biggest barrier was our young boy wanting to eat the same dairy and corn syrup-based foods and treats as his friends and schoolmates. Back then, we didn’t have the plethora of dairy- and corn syrup- free options as there are today. As a result, we spent each Saturday shopping among three different stores, and we spent all day Sunday cooking, concocting, and baking dairy- and corn-free equivalents to things like bread, soda, ice cream, marshmallows, lollipops, and chocolate bars. After a while, we started experimenting with Dr. Rapp’s rotation diet–sometimes called the empty barrel theory. Without going into too much detail, once our son’s system was completely cleaned out, we were able to allow our son to eat offending foods on a 6-week rotating basis. We of course aimed to avoid synthetic additives in foods, and Halloween was real challenge. We got around this by giving our son an option of either eating a few of his Halloween candies, or trading in all his candy for the toy of his choice. He always opted for the toy. On the first Halloween after his diagnosis, he got a Gameboy. In the years of dealing with Tony’s affliction, a large effort was put into overcoming the bias of others toward alternative or natural treatments. Unfortunately, the word “kook” comes to mind when most people hear the words “alternative medicine.” The biggest objections came from the medical professionals and school personnel in Tony’s life. As a medical professional myself, I was fortunate enough to speak the same language as his new pediatrician in Long Island, but his new school was another story. Because symptoms were well under control staff at Tony’s school had no idea that he was dealing with Tourette’s until one day when his teacher called me in a panic. “He’s making grunting noises,” she said. “It sounds like his Tourette syndrome,” I replied. “We’ve been treating it through diet. He must have eaten something that set him off. It’s nothing to worry about,” I explained. Tony knew diet affected his tics, but naturally he experimented at times. Later that day he admitted to me that he’d traded his lunch with a friend and eaten some cheese and pudding with dairy. The following week the principal asked me to meet with her. “You never told us that Tony had Tourette syndrome. Now that we know, we would like to put him into special education,” she said. I informed the principal that Tourette’s is a physical aliment and not a mental one. Furthermore, I made it clear that I would not subject him to the stigma of special education when he didn’t need it. The school persisted, and so did I. Things were finally resolved when I threatened to home school Tony if the principal continued to push the issue. When our son went off to college, like most teens, he went his own way and followed his own diet; he never took conventional medications for any tics. I was heartened that we had been able to keep him off strong drugs during his critical developmental years. All the effort was definitely worth it. These days, I’m proud to say that Tony grew into an amazing man of twenty-eight years with a successful career, barely noticeable tics, and a bright future.